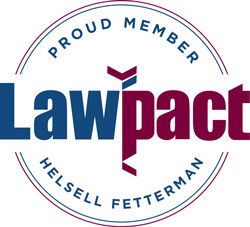 As a member of LawPact, Helsell Fetterman offers expanded legal options to its clients. Whether a client needs representation in Los Angeles, Toronto or New Delhi, our firm delivers exceptional legal service through our LawPact partners. These fellow members are small- to mid-sized, independent law firms capable of providing the quality and manner of service that our clients expect. With a strong presence both nationally and internationally, the firms cover more than half of the U.S. states as well as the UK, Germany, Hong Kong, Brazil, India, Australia and many countries.